Brand consistency is super important. Especially as today’s consumer may have a variety of different ways of first coming into contact with you. Your online profiles need to be clear, consistent and secure. For example, if Cannon was presented as one thing on Twitter by their customer service team and something completely different on your desktop browser, then your impression of them would be somewhat tarnished. The same is true of your own business. If someone picks up a flyer in a coffee shop because they liked the offer of 15% off a family portrait, then goes to your website to take up the offer only to find the code does not work, then the business reputation suffers a little. In this case, not a lot. Because they will most likely contact you to find out if you will redeem it. However, it’s the impression that lasts. If you are active as a business on social media, great. If you pride yourself on your website skills, even better! You’ll know it pays to make sure that everything ties up neatly together. The online experience for anyone visiting your various platforms needs to be seamless. And your representation the same across all devices. Desktop, tablet, mobile. And this is just your profile. Can someone who is visiting your site on a tablet have the same buying experience as if they were on a desktop? 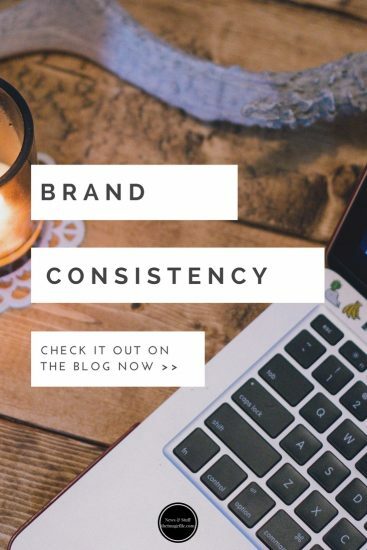 Is there brand consistency? Or even when they visit your social media profiles? One bad customer experience will do more harm long-term than five good ones in a short space of time. Top tips about online presence and e-commerce. Consistent presence. Make sure that your information looks and sounds the same across all sites. Your website should act as a master document which all your social media profiles feed off. The same company information, logo and lead photography should appear on every page. Although edited according to the parameters each site has. That brand consistency will inspire confidence and trust. Provide the impression that your company is on top of things and regularly maintaining its presence. Timely posting. If you are keen to establish your online platforms as a primary driver of sales, being active with posts, driving conservations and interacting several times a day as a minimum would be something to aim at. You can even work with software systems like Hootsuite. They make the scheduling of posts less time-consuming. One can upload posts in one tranche, yet be timed to broadcast at specific times in the future. Fluid e-commerce. However, you wish people to purchase your products, be very clear on each platform what the best way to do that is. Driving people to your site is one thing. Making the buying experience simple and secure is another. If you are committed to people having the ability to buy via a mobile device then invest in this technology properly. Do it well or not at all. Make it as easy as possible for them to give you their hard earned cash. One bad customer experience will do more harm long-term than five good ones in a short space of time. theimagefile system can seamlessly integrate with your existing site to allow you to offer sales functionality or can build a site from scratch with this function already integrated. 8 Ways To Prepare Your Business For Christmas The Main Reason To Display Your Prices The Importance of a Brand Audit Mother’s Day Page Sets 2017!